If any living architect is masterful at exploiting the potential of the book, it is Rem Koolhaas. His Delirious New York made a name for the visionary architect, and it is considered one of the greatest architecture books of the 20th century. Fifteen years later, when he finally had some buildings under his belt, Koolhaas redefined the architectural monograph with the behemoth S,M,L,XL, which he produced with Bruce Mau. These are the two most influential titles among many books he has authored or edited, including a number generated from his design studios at Harvard GSD. Likewise, if any curator is masterful at compiling interviews with, among others, architects and artists, it is Hans Ulrich Obrist. He has reportedly amassed over 2,000 hours of interview recording, 24 of which happened in one marathon session with Koolhaas at the Serpentine Pavilion the architect designed in 2006 with engineer Cecil Balmond. 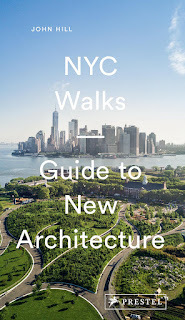 Together, Koolhaas and Obrist are a good team, something I witnessed at the New York Public Library a month ago; the former pursues an intuitive theory and the latter "is a genius at discovering." Attending the book talk at the NYPL in March did a lot to eliminate any surprises in the book, an oral history of the Metabolist movement in Japan in the 1960s and 70s, what is arguably "the first non-Western avant-garde movement in architecture and the last moment that architecture was a public rather than a private affair." In the talk the duo covered the book's main points, most of which are carefully articulated throughout, including the origins of the movement in the Manchurian occupation, grappling with tradition, the media attention of certain Metabolists, the solidarity of the members, and the impact of the 1973 oil crisis on their work and their international ties. For those who didn't listen to Koolhaas and Obrist speak for nearly two hours like I did, the book will be even more of a joy to read, slowly and carefully unfolding the Metabolist story through interviews, history, and photographs (many of the last are newly commissioned shots by Charlie Koolhaas of surviving buildings by Metabolist members). Project Japan was made over the course of six years, and in the process Koolhaas, Obrist, and their editors Kayoko Ota and James Westcott (with AMO) amassed more interview transcripts than they could print, not to mention the archival images, documents, and other information to distill into 720 pages; a large book to be sure, but it does not feel too big for the subject and material. Kudos should be given to Irma Boom for a book design that threads the three main types of content -- interviews, history, photos -- throughout the book with color-coded edges. Even more content is found in keyed comments from "a supporting cast of characters" alongside the interviews; unfortunately their proximity to the fold makes reading them tricky. Overall Boom's layout and design greatly enhances the flow of what is really a narrative story (or a film, as a review at Domus describes it). 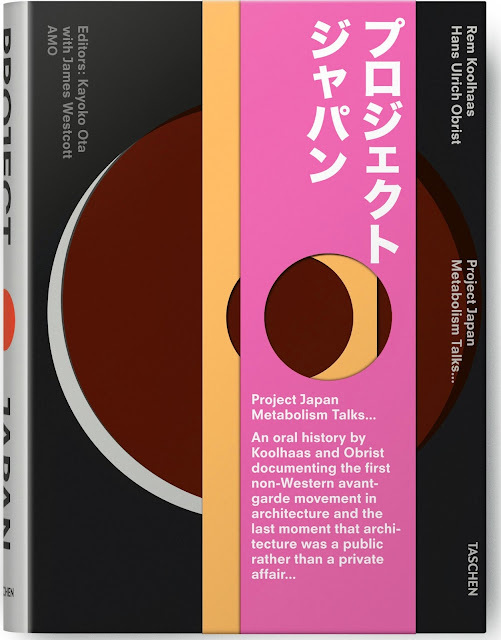 Koolhaas and Obrist have crafted a remarkable, illuminating book that tells the story of Japan over four decades, centered upon a 15-year period when the Metabolists imagined its future. 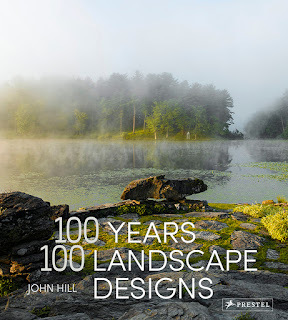 This book is recommended not only for learning about a time and place that supported visionary architecture, but also for simply being a thoroughly enjoyable read.